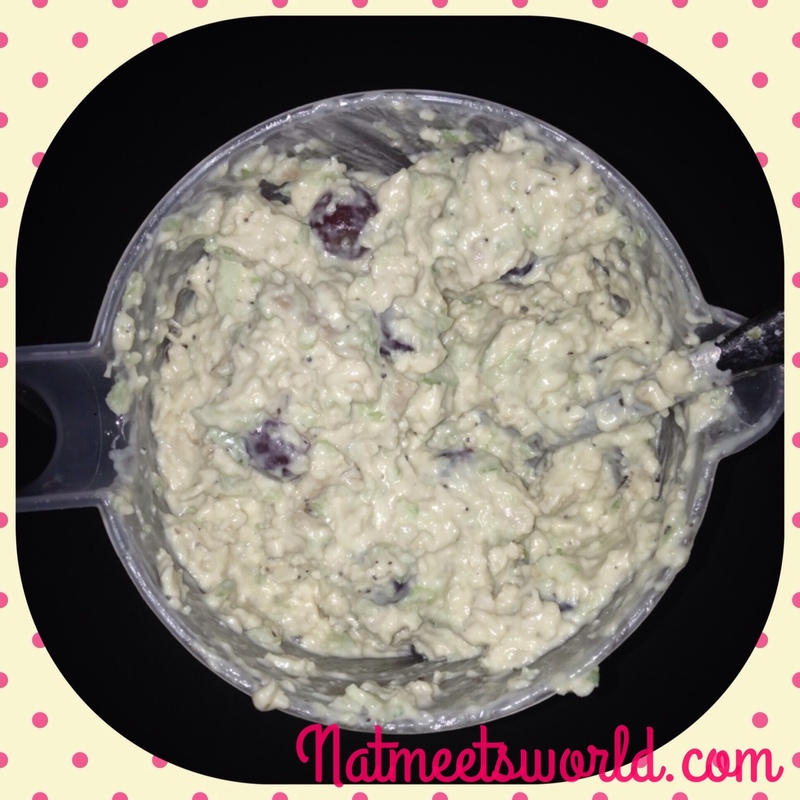 Chicken Salad That is to Die For! Yesterday I decided to stay home and save money. Instead of going to my local grocery store for a sub, or a restaurant for a sandwich, I made my own chicken salad sandwich. 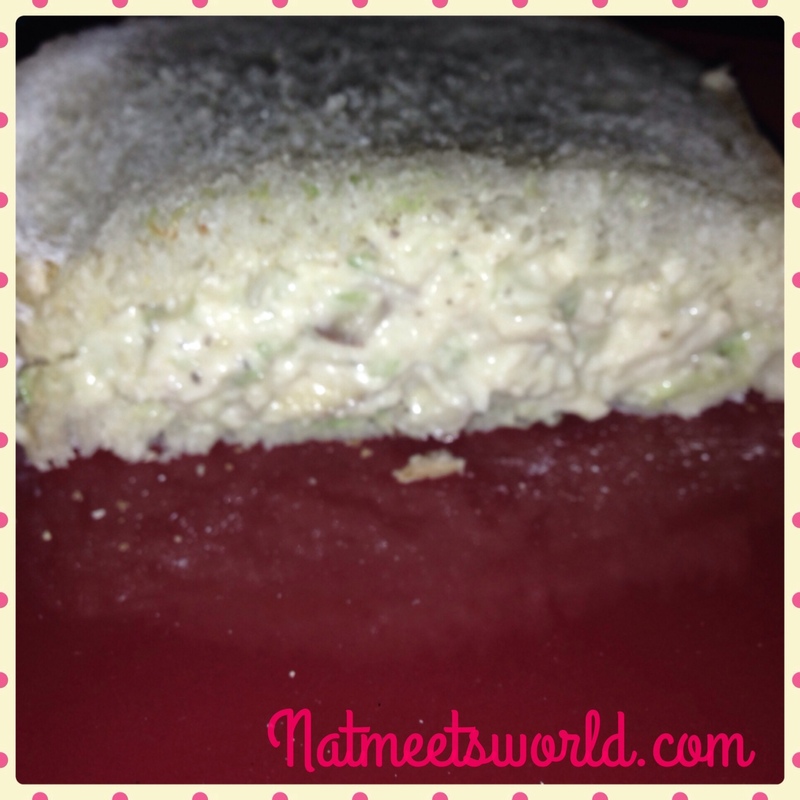 I am a huge fan of Panera Bread’s Napa almond chicken salad sandwich, so I chose to incorporate some of the ingredients that I can taste in their chicken salad, plus some ingredients of my own preference to give it the desired taste I was looking for. Since the Superbowl is on Sunday, I also decided to whip it up for the party I am going to. I figured people will like to munch on this while they yell at the television (oh, I won’t be yelling though, I will be drooling over Bruno Mars). 1. Rub both chicken breasts with salt and pepper. Bake until thoroughly cooked. Remove from oven and cool completely. Set aside. 2. In a bowl, combine the ‘wet’ ingredients. This includes the mayonnaise, honey, and mustard. Mix thoroughly. 3. Chop the chicken. Since some people like the chicken to be in chunks, and others like it shredded or finely chopped, you can cut it to your preference. I decided to use my mini food processor to finely chop mine. 4. Start incorporating the ‘dry’ ingredients into the ‘wet’ ingredients and mix as you put in each one. 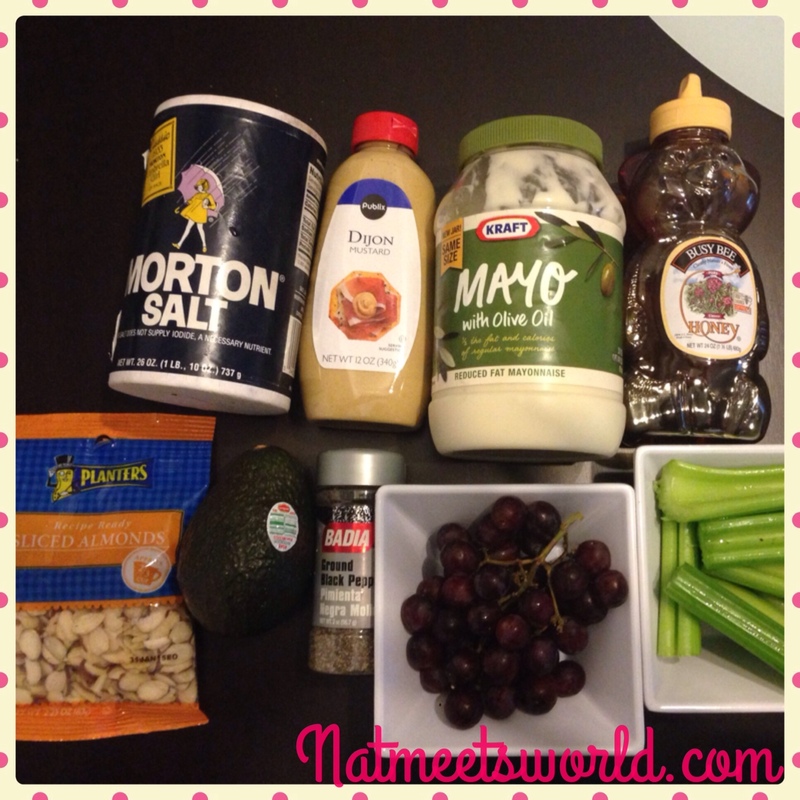 This would include mixing in the grapes, celery, chicken, salt, pepper, and almonds. 5. I sliced my avocado and placed it on the bread slice for my sandwich. If you are making this as a dip, you may want to shop the avocado and add it to the salad mixture. Don’t let this picture fool you. Chicken salad isn’t photogenic. It tastes great! Sorry this picture isn’t so great. I was so hungry, I ate half of it before I was supposed to shoot my pic. Sorry! Looking to eat less calories and fat? You can substitute plain Greek yogurt instead of mayonnaise! I do this all the time and barely taste a difference! For the Superbowl, I plan to make this as a dip rather than a sandwich. Let me know what you think if you make it! Disclosure: All experiences, opinions, and pictures are my own.